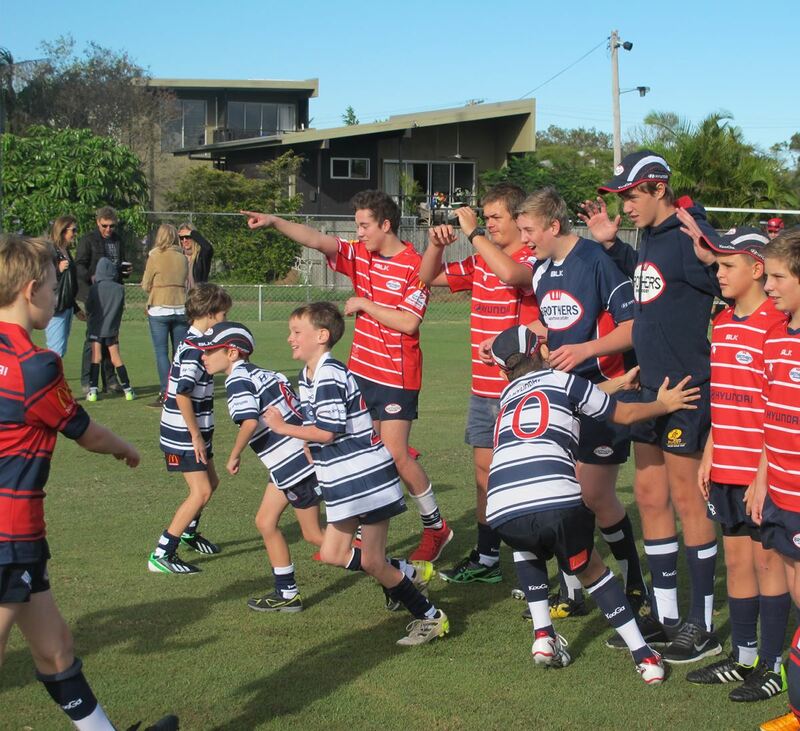 For many years, GingerCloud Foundation’s co-founders Megan and Anthony Elliott hoped that one day their son Max, who has a significant learning and perceptual disability, may be able to play a team sport and join Brothers, their local rugby club. 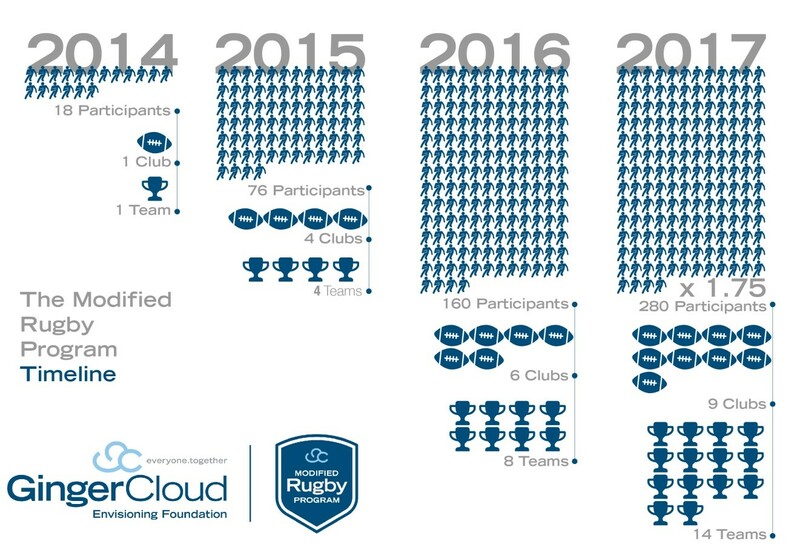 However given the complexity of his cognitive disability they realised many elements of junior rugby would need to be modified for this to happen. During this time, Max was doing a small group rugby skills training course with another friend with a learning and perceptual disability coached by professional rugby player Dallan Murphy. When Max was 10 in 2013, he had developed enough basic skills to be able to play a simplified form of the game. Megan and Anthony saw this as their opportunity to try to get Max involved at Brothers so Dallan suggested they meet with the then Club President Ross McLennan to see if things could be modified so Max and boys and girls like him could play at Brothers. 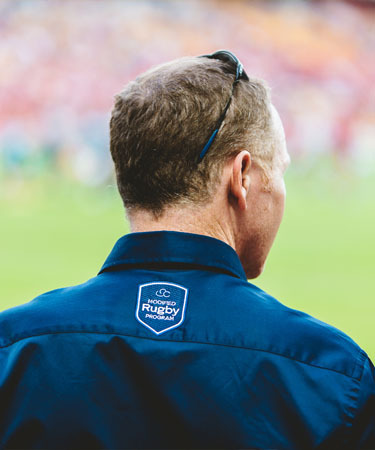 Later that year, International Quarterback organised for Nathan Sharpe, ex Wallaby captain and rugby legend, to become an MRP Ambassador along with Tim Horan AM. 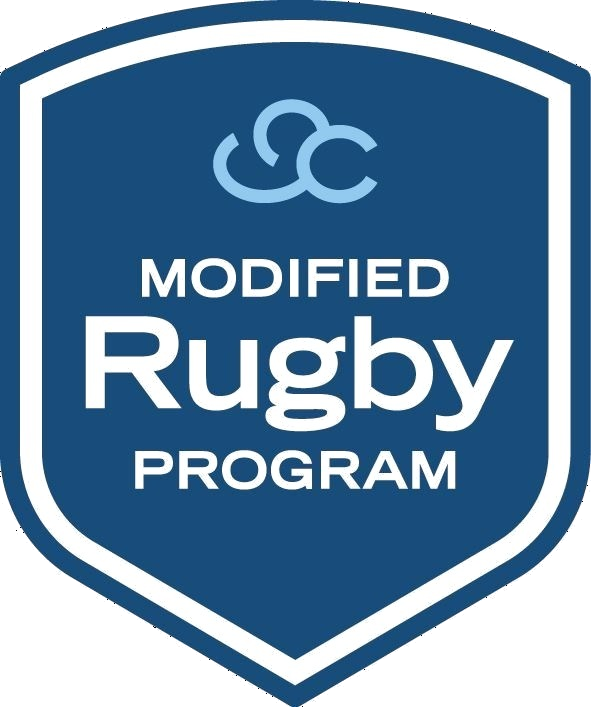 Between April and June 2014, the MRP Pilot was held at Brothers Junior Rugby Club Windsor Park with resounding success, and the MRP has only continued to grow since then. Enquiries have also been received from a number of Clubs from New Zealand, England and Ireland.